Our brush-type heat exchanger is a new type of heat-transfer device developed in cooperation with the Helsinki University of Technology. 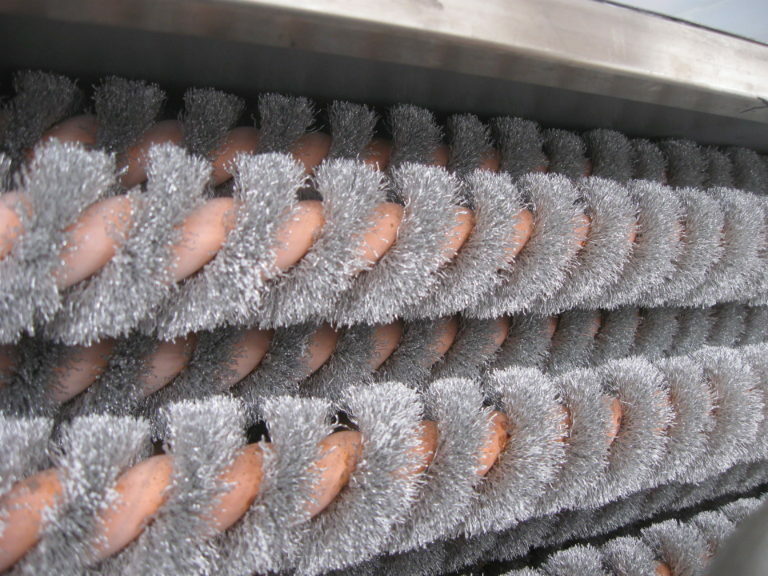 When compared to traditional lamellar radiators, the design of our brush-type heat exchangers is quite unique. As the heat transfer surface consists of countless copper or aluminium wires, the area in contact with the gas is large. On the fluid side, efficient heat transfer is guaranteed by the spiral tube structure. Brush-type heat exchangers are ideal for use in both new buildings and renovation projects, in heat-recovery, preheating, after-heating, cooling and vapourising applications. We use these brush-type heat exchangers for both heating and cooling in our fuel-cell batteries and metal-hydride storage products. Brush-type heat exchangers consist of countless copper or aluminium wires that are trapped between two or more pipes. Depending on the precise application, the pipes can be made of copper (most common), titanium, stainless or acid-resistant steel. The flexible modular construction of brush-type heat exchangers means that it is easy to combine heat-exchange elements to achieve a specific level of performance. As the unique construction of Hydrocell’s brush-type heat exchangers allows them to be formed into almost any shape, they always represent a solution that is both economical and space-saving. 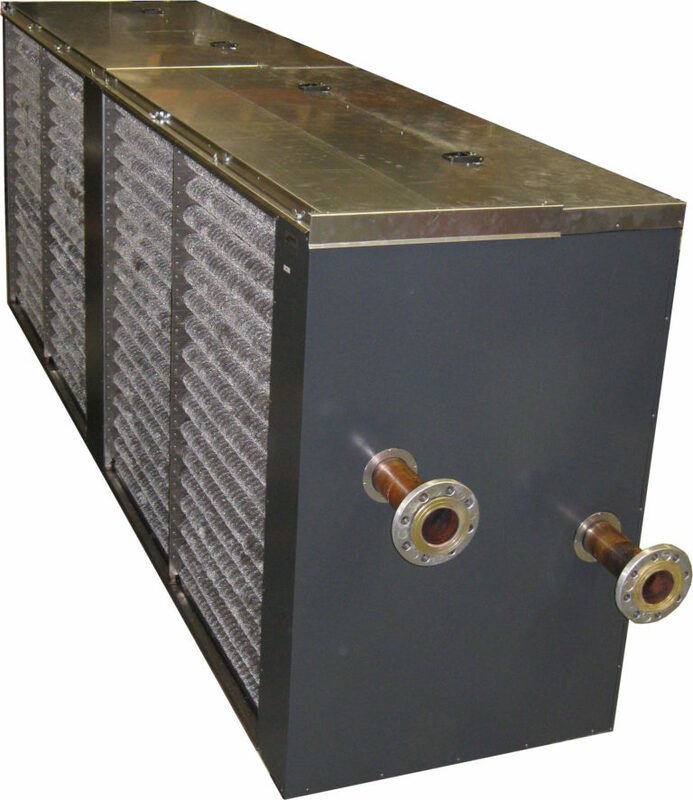 Brush-type heat exchangers are also very suitable for applications in which the air they handle is dirty. They do not block easily, and even when they are dirty, they pressure drop they cause is minimal as air is always able to find a new route through the fibres. Easy to install in existing pipe systems, the use of brush-type heat exchangers usually means that special extension pieces or larger pipe sections are not required. As the pressure drop across the heat exchanger is minimal, the upgrading of existing fans and blowers is also seldom necessary, a major benefit during renovation projects. When brush-type heat exchangers are installed ahead of air filters, they act as a both a pre-filter and a pre-heater. This arrangement ensures that both the duct and the filters remain dry, reducing or preventing the growth of harmful microbes and moulds in these locations. Hydrocell brush-type heat exchangers can be installed in any orientation in an air stream. Compared to a lamellar radiator of similar capacity, the use of brush-type heat exchangers generally results in smaller pressure losses.